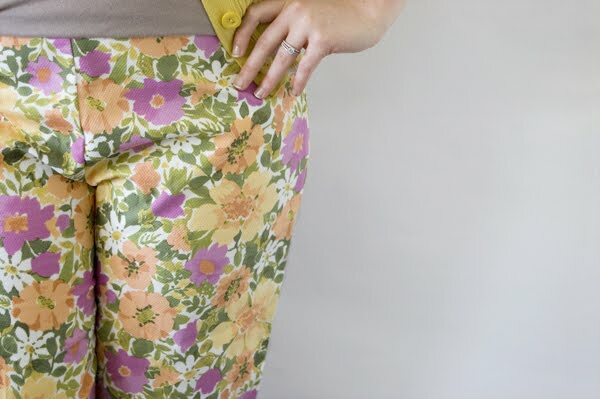 they want their floral pants back. they also requested the whole shopping cart load of "collectables" that you've been stashing in our second room/storage shed for the last couple of months. by the way... thanks ger for showing me the hyperlink button. you're the sweetest ever. Haaaaaaaaaaa I love it Jason! What a creative way to tell Geri that you don't like her pants. She can't get mad at you with such creativity! thanks for taking down that message for me jas. sure appreciate ya. and those pants were totally for a PROJECT. i promise. Hey, I might have donated those pants. Those pants aren't my birthday gift project, are they? Ha! That is probably the funniest blog post I've ever seen! Hey, I have a tote full of that type of pant. Shall I save them for you? very creative, Jason! You are good. Ger, I must admit I am very grateful to hear that those pants are for a project... I totally thought you went grandma grunt on me! Fun post Jason... you are really given Geri a run for her money!